By not being highly organized, 12 step groups keep the emphasis on true fellowship and the focus on their primary purpose. Our groups ought never be organized; but we may create service boards or committees directly responsible to those they serve. In the real world businesses and other groups are "organized." There is a hierarchy of authority established so that some members of the organization have the authority to "direct" the actions of others. But, in twelve-step groups, no one has this kind of authority. The groups are a "fellowship of equals." Decisions are made by the group as a whole and not by one or a few members. By creating and maintaining this atmosphere of "true fellowship" twelve-step groups ensure that even the newest members can quickly gain a feeling of "belonging." If no one is in authority, how are "executive" decisions made? Decisions are made by the group as a whole through what is known as a group conscience vote. 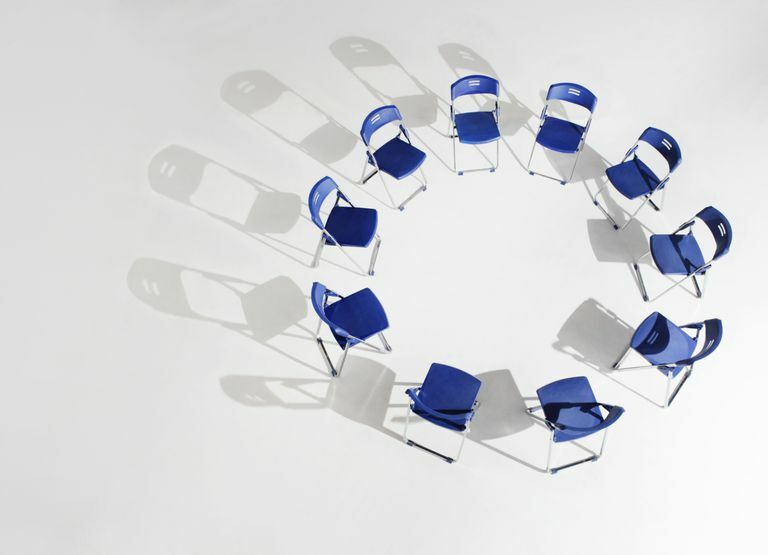 Any member of the group can request that a "business meeting" be held, separate from the group's regular meeting time, for the discussion of any issue affect the group as a whole. After a discussion of the issue, during which all members have an opportunity to express their opinions, the group votes on the issue and the majority vote decides the question. In this manner, the group maintains unity by providing an atmosphere in which all voices are heard - from the oldest long-timer to the newcomer - and everyone has an equal voice and vote. It took me 3 months to get completely sober. In all the groups that I go to, I don't know who any of the leaders are yet. When we start sharing we are all equal, nobody is an expert, and you feel that equality. I'm sure that eventually I'll find out who the Group Representative is and who keeps the checkbook, but with only 19 days sobriety right now all I can do is reach out and have already used about 20 phone numbers (nobody home) to keep from taking a drink. The one who was supposed to be there was. Of the people on my list I could not picture them in my mind, but I knew they were available to call because they put their name down when I sent my where and when around the room. I have two, full of names, and another one with only one number on it. After using up the first two, the one number on the where and when was home! Seems like a prime example of "Responsible to those we serve" just being able to put their names on a list for a newcomer! The most important person that walks into a group of Alcoholics Anonymous, is the newcomer, without him we will surely die as an individual and as a whole. If we try to organize him, he will flee, after all, his life is already unmanageable. How then can we structure him into becoming a recovering AA who will be responsible for reaching out to the still suffering alcoholic? When I first came into the rooms of AA over 18 years ago, It was the tail end of what used to be, and can only speak for a large area of Long Island, NY, where we had steering committees. Steering Committees where old timers in the group who didn't have an on-the-surface commitment, such as coffee maker, chairman, literature, secretary, etc. They were the voice that carried the message via of experience, strength, and hope, to help the group stay focused on the principles and traditions in various areas. They would share their knowledge at a meeting, business meeting or sometimes one-on-one to let a person know why the traditions were so important, and if not followed, could harm or relapse a newcomer's sobriety. The years of experience in AA of those who keep coming back is where the value is of what works in AA and what does not -- all those years of seeing things proven over and over again. If all the old timers have left and a group is in trouble, GSO would send a GSR to help restructure the group. Today there are many, many groups in my area where the old timers have left. There are no steering committees. New members are taking commitments too soon, such as a person with under a year being a Group Representative and going out and drinking before they have two years sober, because they got right into the politics of AA rather than personal recovery and had no foundation. Most people in this area do not know that a GSR would come out and help restructure a group. There aren't many who are willing to lead a tradition meeting and not many who want to attend one. The membership of old timers has declined more and more with the new thinking: I have my sobriety, I did all the work already, I did all my steps, I only need 1 or 2 meetings a week (sometimes you hear a month), I am fine, I don't need to go, I. I. I. Oops! Where is the we?